The smooth-voiced soulstress began to make her mark singing for renowned artists such as Cee-Lo Green and OneRepublic at their UK shows, eventually bagging backing vocal duties on Adele’s UK and US tours which elevated her own fan-base over night. 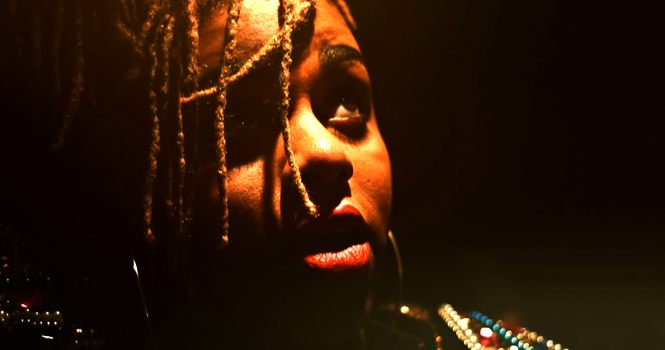 Her work with The Noisettes has been well-documented, and after working with other artists such as Kele Okereke of Bloc Party, Bobbie decided to release a solo EP – ‘Matters of the Heart’. It was received well and was co-signed by media titles including ThisisFakeDIY, and SoulBounce. Lead single ‘Skin’ is produced by Luke Oldham of production duo N55, whose remix credits also include Aluna George. A previous collaboration with Bobbie Gordon can be found on 2012 N55 track ‘Bring on the Night’.